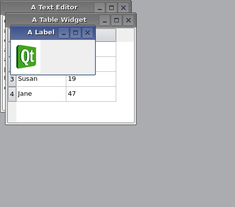 The subwindows are sorted by the the current WindowOrder. This is used for the subWindowList() and for activateNextSubWindow() and acivatePreviousSubWindow(). Also, it is used when cascading or tiling the windows with cascadeSubWindows() and tileSubWindows(). 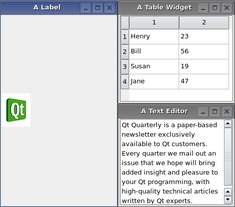 See also QTabWidget::tabShape() and setViewMode().